With the unstable weather everywhere, it is only fitting to take a look at a jacket that does not mind these unpredictable conditions. Review time is here again and we are ready for a new brand to introduce to you. Meet Fifty Five, an outdoor-clothing brand, which aims to create products that perform perfectly, at a reasonable price for the consumer. Their designs are intended to not only be functional and high-performance, but easily adapted to the environmental and weather conditions. All of this makes it possible for you to focus solely on your outdoor adventures. The rest has been taken care of! The jacket for this review is called Alert, it is a softshell jacket for men that performs as a hardshell, but without getting in the way of movement and taking away the classic softshell qualities. 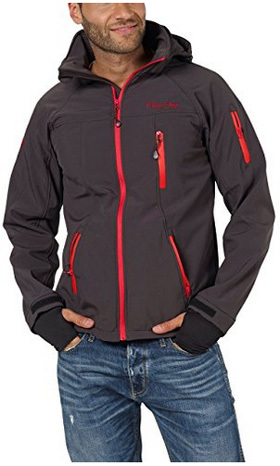 Alert, being a softshell jacket, is first and foremost designed for active people, who enjoy spending time outdoors riding their bikes, hiking, fishing, running or camping. 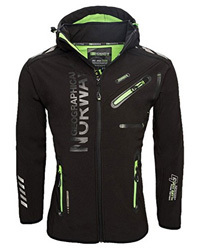 And if you are looking for a winter jacket to take with you when you go skiing or snowboarding, then you would be surprised to know that this jacket can be also worn for those activities. Now you may be thinking that this goes for all softshells, and you would be right, but what sets Alert apart is that, due to its material, it can be worn on its own as a ski jacket. Neat, right? It will remain warm during the whole time, yet, because of its high breathability, there will be no overheating and excessive sweat, as all perspiration and excess heat inside the jacket will get out of the micro pores of the fabric. 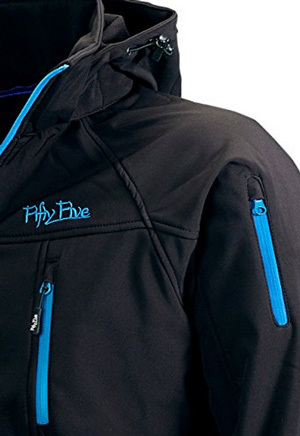 Style-wise, Fifty Five’s Alert has the look of a sports jacket, but as with all jackets, if you find it hard to part with it when you are not skiing or running, then go ahead and wear it every day. 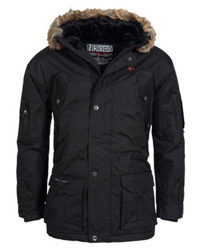 The jacket comes with three outer pockets on the body, two are placed on the sides and are lined inside and one is placed on the right side of the chest. On the left sleeve there is another pocket, with zipper closure. On the inside there is one open pocket, for extra storage. There is also a ski pass pocket, so you can easily get it, without having to waste your time. It is a straight cut jacket, which has adjustable cuffs, with wrist gaiters placed inside, that have thumbholes in them for complete insulation and to protect the hands. The collar is high and comes with chin guard, to prevent chaffing of the chin and neck from the main zipper, which, speaking of, is water-resistant and uncovered. On the back of the collar, there is a detachable hood that can be adjusted to fit around the head and with the inner lining, it will keep you warm. The bottom hem has two-way adjusting, to tighten it so any contact with the snow will be minimized. 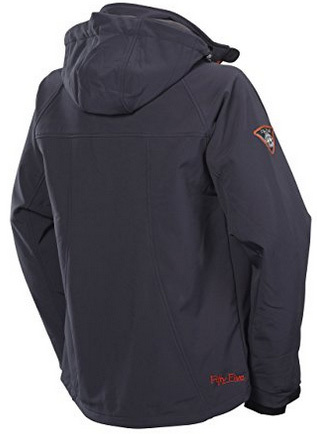 First and foremost, the outer lining is this brand’s renown Five-TEX membrane, which gives the jacket water-resistance (6000 mm), makes it windproof and allows it to be breathable, with a respiratory activity of 4000 g/m2. In itself, the outer material is 96% Polyester and 4% Lycra. 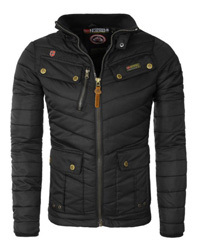 The inner lining is made of 100% Polyester micro fleece, which is slightly thicker than regular fleece, and it does a better job at providing warmth and insulation. The outer layer is also slightly elastic, which means a more comfortable wear and makes the jacket easy to adapt to movement. Alert comes with many color options available, some of which are dark colors and one is a bolder one. Starting with the odd one of the selection, it is the Lime color, with Royal blue details. The darker combinations include: Black-Lime, Anthracite-Red, Navy-Green, Black-Royal and Navy-Orange. These are very wearable colors, which make the jacket suitable for daily wear. With a considerable number of online reviews, most of which four and five star reviews, there is quite a lot of feedback for Alert, by people that have tested it through and through. 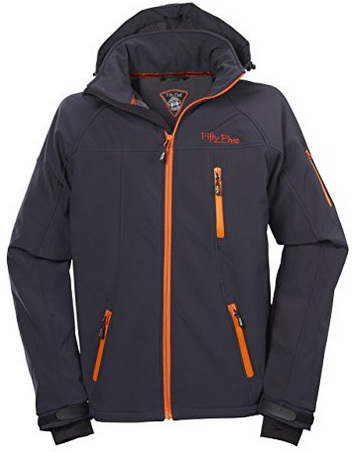 Performance wise, this jacket is surprising, especially considering how lightweight and thin it is. It is indeed considerably water-resistant, fully windproof and provides adequate warmth, constantly maintaining the temperature perfectly, without causing overheating or temperature drops. 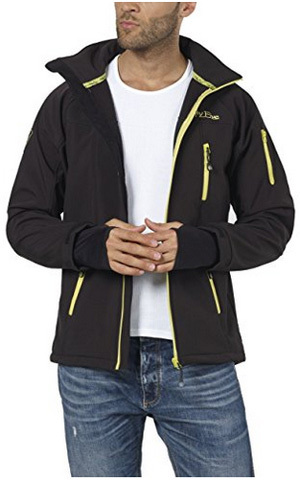 Several users have worn this jacket for months on end, some of which even daily and it barely shows any signs of wear, which means that the material is indeed durable and can withstand different environments and types of weather without issues. As for the downsides, it all comes down to sizing chart, which you should keep in mind with every clothing purchased online. 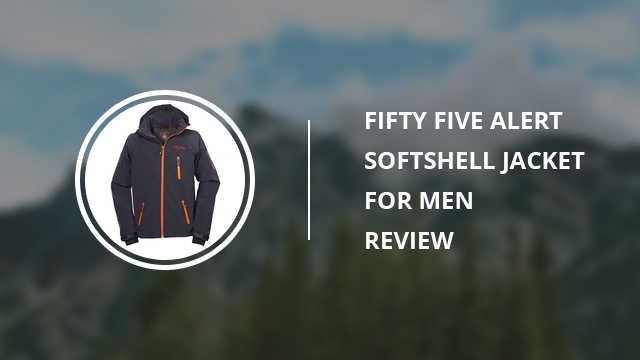 To summarize all of what we went through, Fifty Five’s Alert is a softshell jacket that manages to perform as a winter jacket, but all the while maintaining those specific softshell features, that set it apart from most jackets of its type. 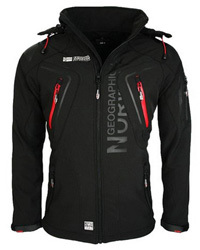 Look no further if you are searching for a jacket that can be a good everyday companion and a great one for sports.